by CTNutmegger Posted 23rd Feb 2009 at 5:11 PM - Updated 20th Jun 2009 at 3:09 AM by CTNutmegger : Uploaded revised version of the base game set. 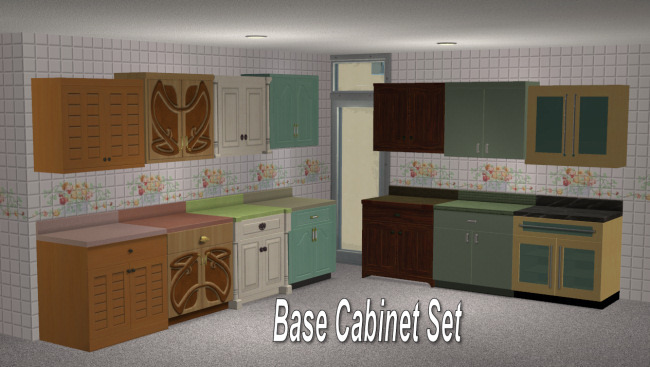 I received a pm last week from Phaenoh asking if I would consider creating a set of wall cabinets for the base game. After thinking about it for a short time I decided to do it. 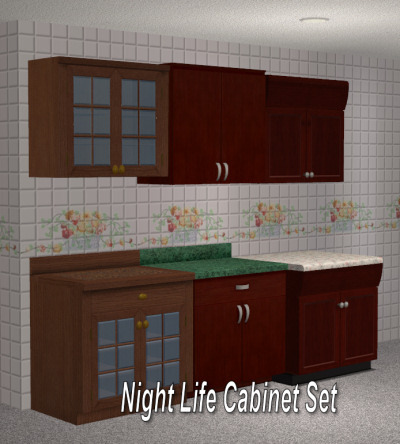 While I was at it I took a look at the older set I had made for some of the expansion packs that I have posted here and on the N99 Forum Pak site. I thought they could use a good cleaning amd brightening up so I've included them as well in this post, might as well keep them all together. There are 19 files in the 7 zips and they are labeled by expansion so you only have to download the ones for the games you have. 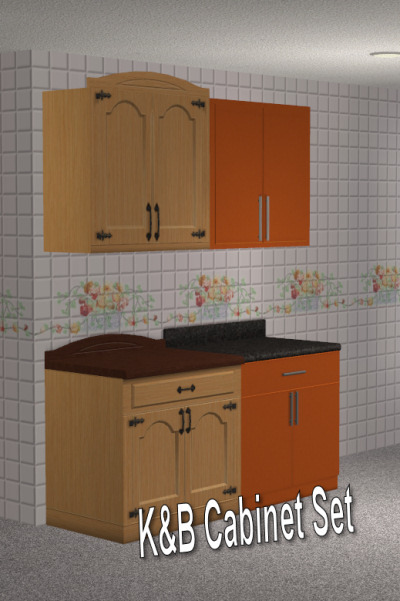 All files are linked to the matching base counters that came with the game so they will appear in the catalog with all Maxis textures as well as any recolors you have for the counters themselves. All have been categorized as Surfaces - Misc and are priced at 175 simoleons each. 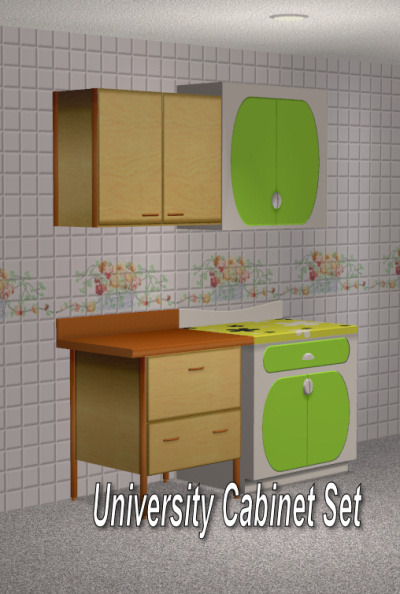 I've also included the wall cabinet for the Good Witch counter, this counter is commercial so it's available only from a commercial lot. 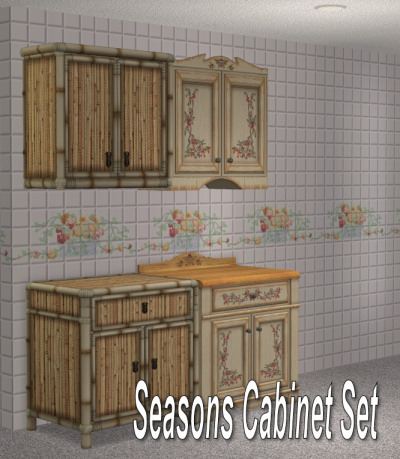 Although all meshes were created on a base game painting you will need the matching counter to have the correct texture for the cabinet so don't expect the seasons cabinets to show up if you don't have the Seasons expansion, etc. As Always, my meshes are free for all and may be included on any lots you post for download. All I ask is that you don't take them and post as your own. 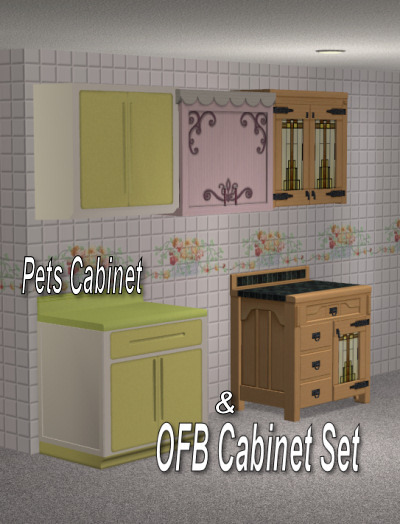 *If you have any of my older cabinets please remove them before you add the new ones.